We all know that you can’t put a price on a getting a ticket to visit Willy Wonka’s Chocolate Factory. For those of us who dare to dream the thought of being chosen to receive an insider’s look at such a destination is something that still conjures up a childlike magical feeling. In January the Wine Warehouse Beer Specialist Team received our Golden Ticket, except we weren’t headed to a chocolate factory. 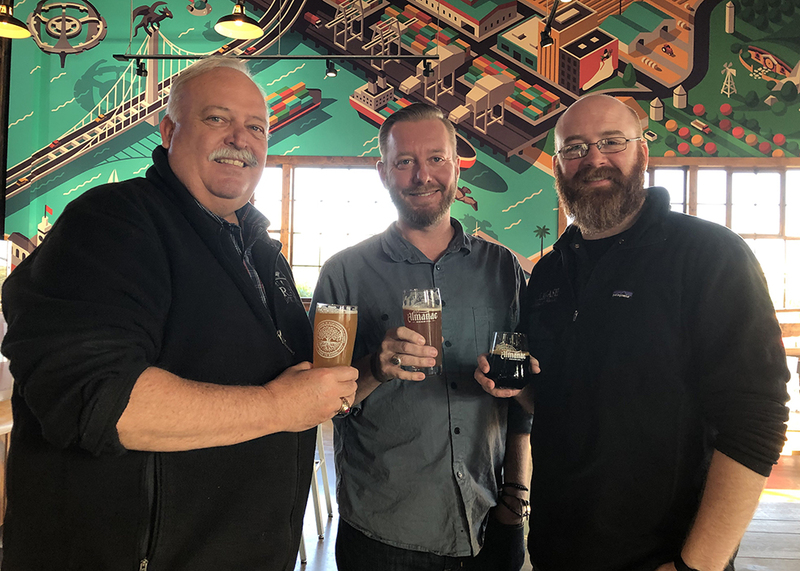 We were invited to spend the day within the magical confines of Almanac’s new 30,000 square foot brewery and taproom in Alameda, CA. 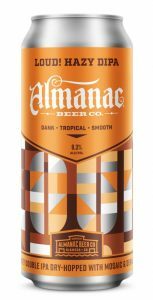 Once we arrived at the facility it was easy to grasp the history of Almanac’s home, which is a former WWII-era naval warehouse. 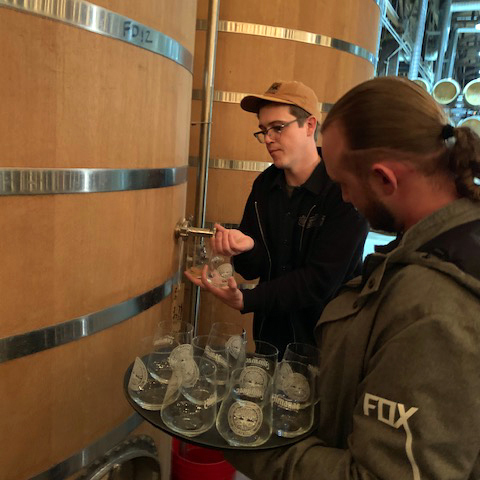 As we opened the doors to the house built by the “Farm-to-Barrel” concept brewer, we were immediately greeted by an abundance of old growth wood ingrained throughout the building. At this point history became palpable. 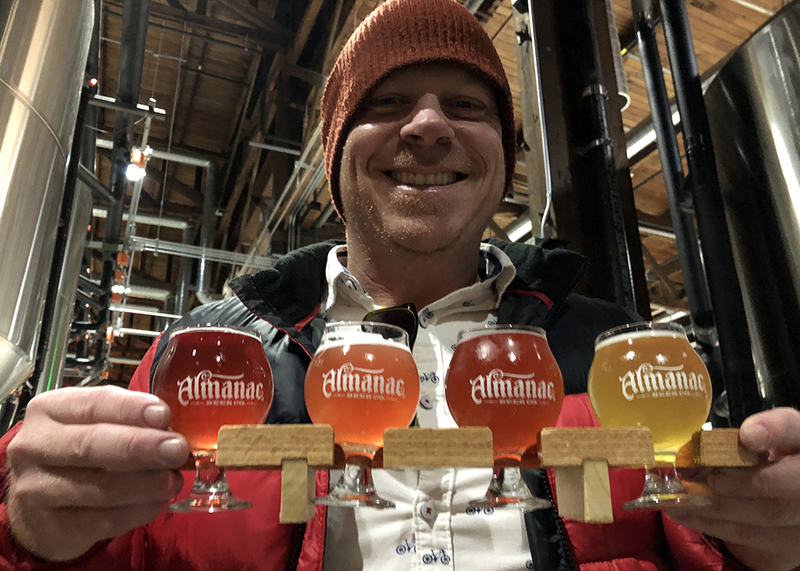 It was about that time that we were approached by Damian Fagan the Co-Founder of Almanac Beer Co. As per usual Damian greets everyone with smiles, hugs and an offer of libation. 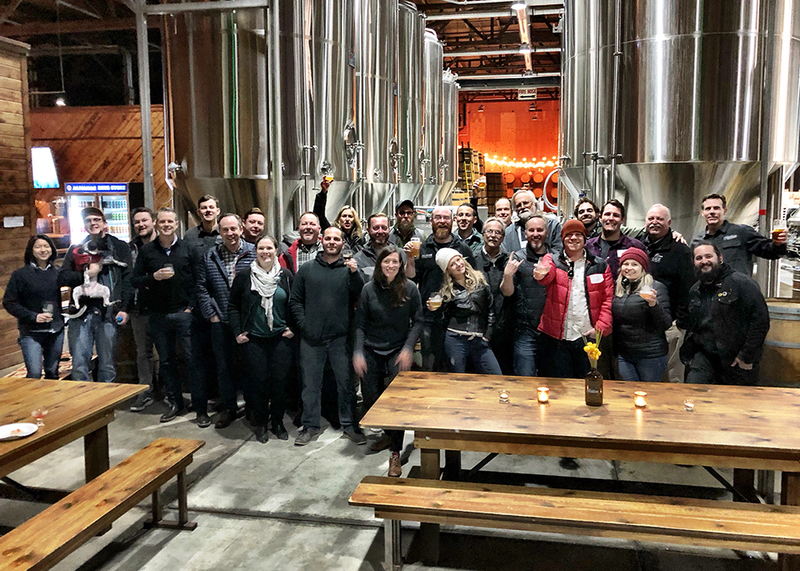 As Damian, and the Almanac team, welcomed us to their home it’s hard for our eyes not to wander towards the backdrop of foeders, barrels, and the latest addition of stainless steel fermentation tanks that tower over the back of the taproom. We have arrived. Our Golden Ticket has been submitted. The adventure is about to begin. 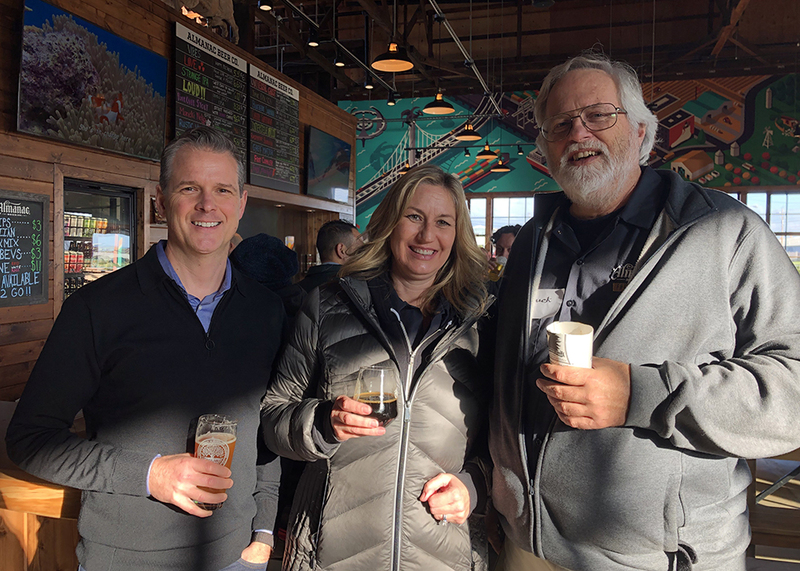 Something that becomes immediately evident while watching the Almanac team interact with each other is that they share one of the key foundational values that Wine Warehouse has always been built upon: family! 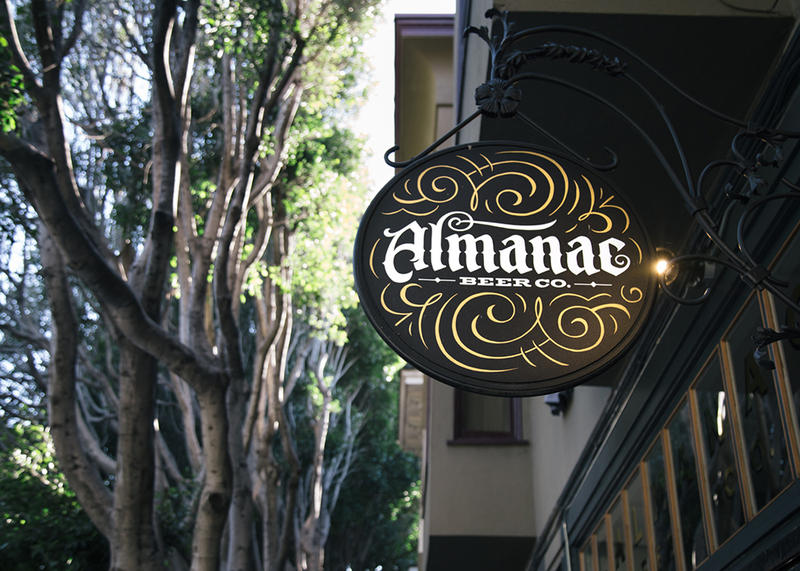 The warmth, love, and respect that we witnessed amongst their team is one of the many reasons we are proud to have Almanac in our family of suppliers. 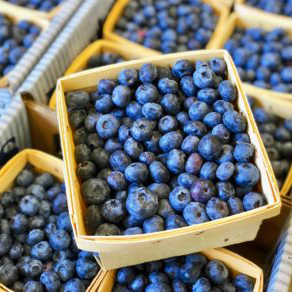 During our stay we learned that Almanac partners with local independently owned farms and suppliers with shared values. In a day and age when consumers are proud to support locally crafted products, we couldn’t be more proud of just how local this liquid is. 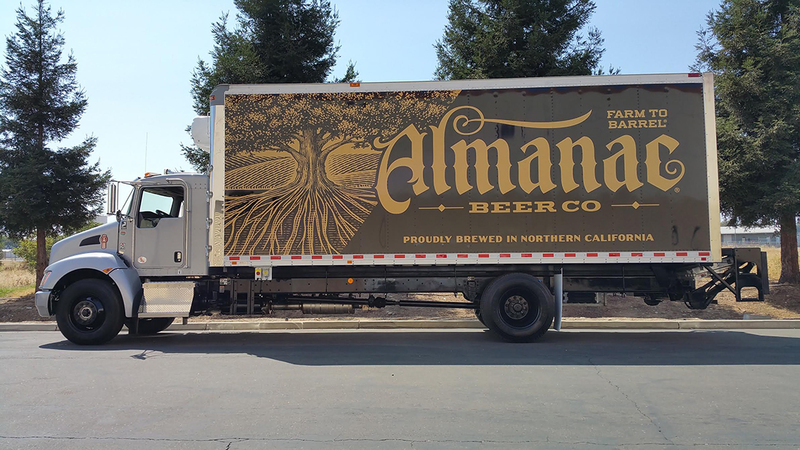 Almanac’s relationship with their neighbor Admiral Maltings, the only existing California-based Malt House, has taken that local approach one step further. This couldn’t be more evident than it is with their fresh beer program and a recipe like Vibes. Vibes is 5.3% Hoppy Pilsner brewed using 100% California grown Admiral Maltings pilsner malt. This crisp, crushable, hoppy pilsner is brewed using Hüll Melon, Citra, and Motueka hops which impart an amazing aromatic bouquet driven by lemon-lime notes. 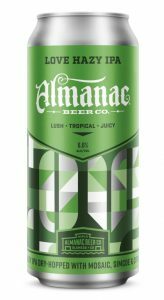 Our team was blown away at the consistently delicious fresh beer recipes that Almanac has created. From their haze-driven Love and LOUD! IPA releases, to the newly released Trüe Kolsch, we couldn’t be more excited about helping bring these beers to market. As the afternoon approached we found ourselves venturing towards what could only be described as a forest of barrels, and foeders in Almanac’s magical land of fermentation. 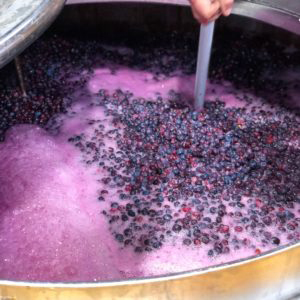 We were lucky enough to be on hand as they were bottling Plum Fairy. 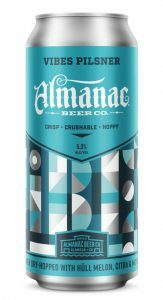 This 5.9% sour farmhouse ale is a great example of what makes Almanac, well, Almanac. Brewed using Admiral Maltings Pilsner Malt, oats, and spelt this beer spent months aging on oak with plums, pluots, and vanilla beans that were sourced from the Central Valleys Blossom Bluff Orchards. The final result is an enchantingly well balanced sour farmhouse ale driven by notes of tart stone fruit, oak, and vanilla. Perhaps the key takeaway, as we closed out an amazing day of “foeder-side chats” with our friends, was this: our visit undoubtedly started with, and was driven by, that magical feeling that words can’t quite describe. But Almanac’s amazing liquid and reputation hasn’t been built on the back of magic. It’s been built on the backs of a family of co-workers whose practices, methods and scientific approach are second to none.